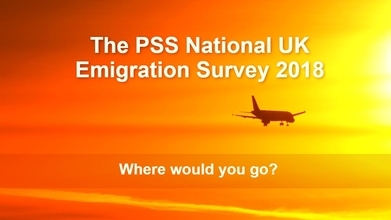 PSS International Removals have released their results for the inaugural National UK Emigration Survey! This survey asks which country British people most wanted to move to and without surprise, Australia and New Zealand have come to the top! English speaking countries dominated the top 5 with Canada in third, Spain fourth and USA edging in fifth. The relaxed family friendly culture and of course the weather that’s found down under really does appeal to Uk residents. Liam Witham, Managing Director of PSS International Removals, said, It was not a big surprise to see Australia and New Zealand at the top of the list. We help thousands of families relocate and in recent years. The lifestyle of these two countries is exactly what families are seeking in the 21st century. Economic opportunities in Asia and the Middle East have seen a growing number of Brits move to these regions in recent years. However, they’re not the first places that spring to mind when families are considering the locations they would most like to set up home. China and Hong Kong were named 24th in the survey, while the United Arab Emirates placed at 53rd. The Down Under Centre has helped hundreds of families and tradies make the move down under. The DUC is a unique concept, a one-stop center assisting you with all your Australian and New Zealand migration needs The Down Under Centre offers a skills assessment Agency Service meaning that we work closely with you to complete the process efficiently and to ensure that you have the strongest possible application before submitting! PSS International is an independent, UK family run business that has over 36 years of experience specialising in helping people move from the UK to countries across the world. Last year PSS International undertook over 7,000 international household removals, making it one of the UK’s leading global removal companies.